USDA Certified BioBased product combining soft, beautiful, multi-colored grass blades with a thick tan thatch, this artificial grass variety is as stunning as it is environmentally friendly. Blending soft, beautiful field, olive, and apple green grass blades with a turf tan thatch to create a stunning variety of synthetic turf that looks and feels like the real thing. 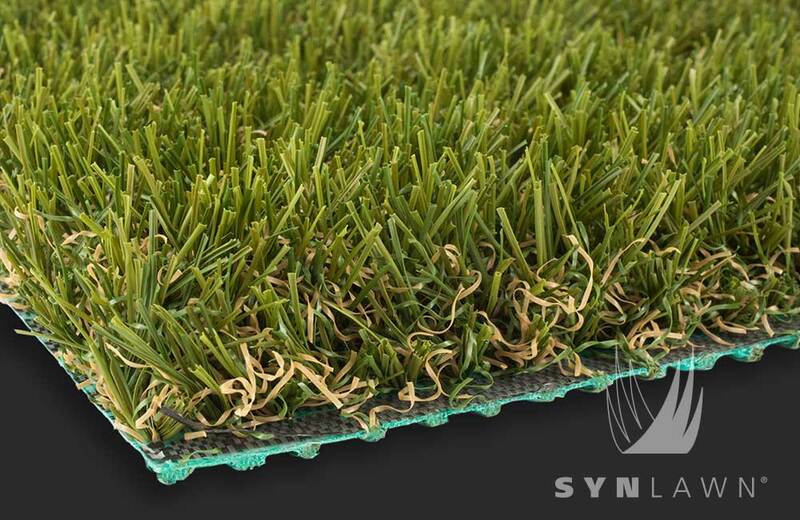 SYNAugustine 547 (SA547) is a USDA Certified BioBased product using plant-based polyethylene made from soybeans for a genuinely sustainable and environmentally-friendly turf variety make this artificial grass a no-brainer for folks concerned with leaving a low-carbon footprint.